Email marketing is great option to increase engagements, site traffic, and generate or nurture leads. Although it may be a little older, it is by no means outdated when it comes to reaching out to people on a personal level. You just need to ensure you are using the correct tactics to reach people in a busy area of communication. Marketers love using emails because it is a form of communication that reaches people in their personal inboxes. 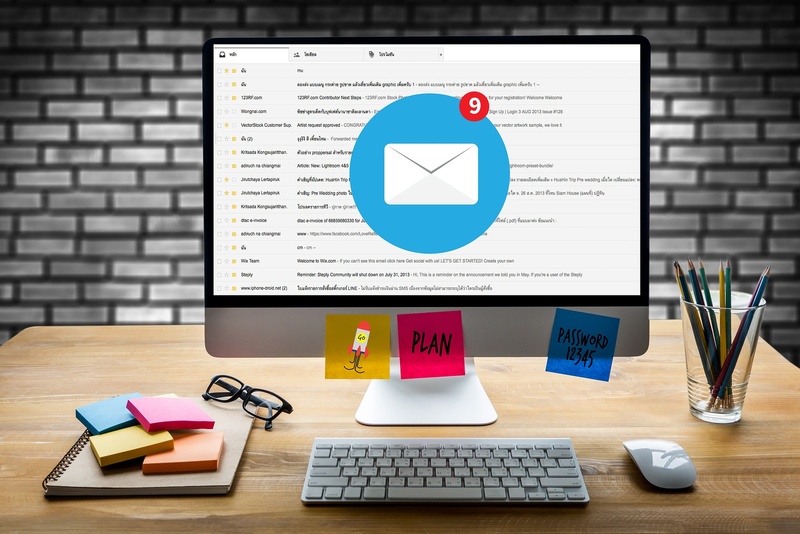 However, as more and more marketers began to use emails, consumers started to ignore or even block these marketing emails and it became harder to reach consumers personally. That does not mean you should abandon email marketing as an inbound marketing tool. It just means you need to dig a little deeper to send personal emails that will resonate with your customers and catch their attention. A great way to ensure you are sending the correct emails to the correct customers is to segment your contacts into lists. According to Hubspot, segmented and targeted emails generate 58% of all revenue. Making lists and segmenting your contacts may take some time to set up, but it is worth it to capture the attention of your contacts and leads. You can use a variety of lists in a number of ways, so we have come up with three different examples of ways to break up your contacts based on different marketing objectives. For these specific examples, we will be basing them off of the Hubspot CRM since that is the program we use for ourselves and our clients. However, these ideas can translate to any CRM you may use, although the execution may be a little different. Leads and contacts are not all the same. They can be in different stages of the buyer’s journey or the customer lifecycle stages. Because of this, not all emails will be applicable to every contact. For example, we define our leads by lifecycle stages - specifically marketing qualified leads (MQL) and sales qualified leads (SQL). Marketing qualified leads are contacts who have shown interest in our business through downloading content or visiting a certain page. They are interested but not necessarily ready to reach out and contact us yet. Sales qualified leads are contacts who have downloaded multiple pieces of content or maybe even filled out a free consultation request. These contacts are very interested and ready to be contacted by a sales representative. We would not want to send the same emails to a MQL and a SQL because they are not at the same place in their buyer’s journey. MQLs require lead nurturing, so we would send them additional content offers or links to relevant blog articles we published to further educate them and provide more value. SQLs require less nurturing because they are ready to be contacted by a sales rep. We would send these leads offers to schedule a free consultation or forms so we could learn more information about them prior to their consultation. By segmenting contacts into these lists, we are able to easily determine where they are in the buyer’s journey or their lifecycle stage and thus are able to send the correct information to each contact. Doing so increases our chances of the contact opening, interacting, and engaging with the email. Another way you can segment your customer base into easily manageable lists is to base it off of responses to customer satisfaction surveys or questionnaires you send out. If a customer responds to your customer satisfaction survey extremely positively, they can be considered a promoter. These contacts will be your champions and represent your company online. Emails to sent to this list should encourage your Promoter to post about your company online and since you know they are a satisfied customer, you will get a positive response. If the response to your survey is somewhere in the middle, this contact will be placed in the Neutral list. Contacts in this list should be sent content that proves the value of your company. By allowing them further opportunity to interact with you, you can prove your value as a company to a contact who is not necessarily “sold” but not upset with the service you provided them. If the response to your survey was extremely low, this contact will be placed into the Detractor list. This is a contact who is not happy with what you did for them for whatever reason. A good email to send to this list is a follow up on what happened during their experience that made them so upset. If there is a second interaction, you can re-send a customer satisfaction survey and possibly move them from the Detractor list into a different category. Either way, by placing these contacts in a list, you know not to send them emails that will make them even more frustrated with your company. Customer satisfaction surveys allow you to create lists of contacts based on how they rate their interaction with your company. These lists will show you not only how you are doing as far as customer satisfaction goes, but also which contacts will positively receive marketing messages and which contacts to sparingly email. A third way to segment your contacts is to separate them based off of form submissions or pages visited. There are many different options to use when it comes to making lists based on these areas, so we will just give you one example for each suggestion. To make a list based on form submissions, you would need to ask a categorizing question on the form. For example, you could ask about a contact’s industry, location, or company size. After the form has been filled out, the contact will then be placed in a list based on their answer to that question. Then, you could send the list industry specific emails, location specific emails, or company size specific emails. After a visitor has become a contact in your main contact base, you could segment them by pages visited. Once they are placed in these lists, you could then send them specific emails based on their interest, such as inbound marketing, business web design, or manufacturing web design. Customers can be placed into lists based off of pre-determined criteria such as form categories or website pages visited and then sent information specific to those categories. Not every email will be meant for every contact in your database. By taking the time to create lists within your contacts, you will be able to send the correct emails to the correct group of people. This will result in a higher open rate, higher engagement, and possible new lead generation for your company. Buyer Personas are essential to creating successful email lists. Download our free buyer persona template to create your own!